Jay joined our firm in 2012 as a Real Estate partner in our New York office. 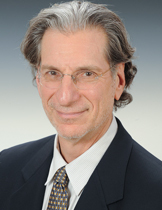 Previously he was a partner in Schneider, Goldstein & Bloomfield LLP which merged with the firm in January 2012. He practices in all areas of real estate, with an emphasis on real estate finance and development and condominiums and cooperatives. Jay has represented developers in the development of over 2,500 homes, containing more than 5,000 residential units, and has represented numerous sponsors of new and occupied condominium, cooperative, and homeowner association plans. Previously Jay was the Deputy Division Chief of the Economic Development Division of the Office of the Corporation Counsel for The City of New York, where he represented The City of New York in high profile development projects, such as the Marriott Marquis Hotel in Times Square.